A: I am based at our Loch Lomond distillery on the banks of the River Leven at the southern end of Loch Lomond. Our distillery has more of an industrial feel than typical malt distilleries as we have both a malt and grain distillery on the same site. The malt distillery is very distinctive as we use different shapes of stills to create our single malts with a set of traditional swan neck pot stills and three sets of unique straight neck pot stills. Q: How long have you worked with Loch Lomond Group and how did you start? A: I’m from the north coast of Ireland, growing up near the Old Bushmills Distillery and Coleraine Distillery, so whiskey was never far away. I have been working in whisky and beer for over 20 years, having studied brewing and distilling at Heriot-Watt University in Edinburgh and worked at Bushmills Distillery during university holidays. 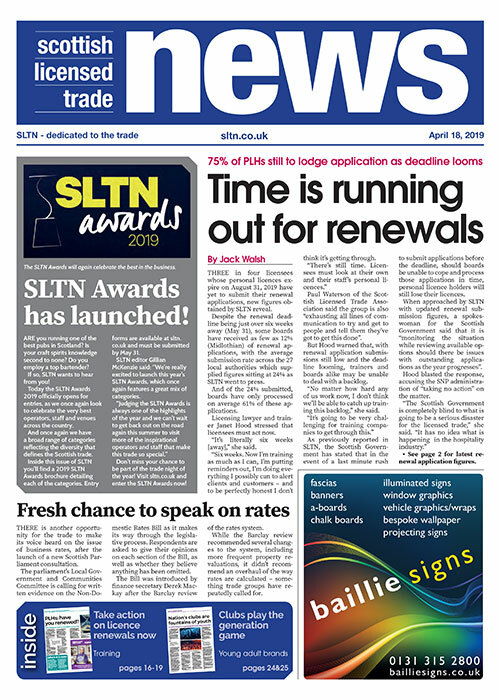 I went on to work for InBev, brewing Tennent’s Lager at its brewery in Belfast and then in Glasgow before moving to Loch Lomond as warehouse manager in 2007, becoming master blender in 2015 shortly after the new owners came into the business. A: At Loch Lomond we use different levels of peat in the malted barley, three types of yeast, two shapes of pot still and different ways of running the pot stills to create eight flavour styles of new-make spirit that range from light and fruity to full bodied and peaty. After maturing in American oak casks we combine up to four of the different styles to give as much distillery character as possible with a background sweetness from the wood. A: With the timescales involved in single malt whisky careful planning is critical to both liquid quality and long term success of the business. In the mornings I plan out vattings and spirit supply for product to be sent for bottling, review our sales against forecast and then manage our new-make filling and wood inventory. In the afternoons I concentrate on liquid development, nosing cask samples to check how different stock is maturing, selecting casks for vattings and developing new products. A: For our range of Loch Lomond single malts we try to reflect as much of the distillery in the whisky itself. We use four spirit styles from the different stills and different peat levels, bringing together extremes of flavour to give a perfect balance – some fruit from our long fermentations and straight neck pot stills, some sweetness from the American oak casks we use and a light touch of smoke on the finish from the softer way we distill our peated malts. Q: What would you say sets your whiskies apart? A: Distillers tend to differentiate their products using age statements and maturing in different casks, there is very much more focus on the wood character. At Loch Lomond we bring out as much of the distillery character as possible that we create from our different peat levels, yeast types and stills. Wood is important, however we aim for a softer wood influence using a combination of some first-fill bourbon casks and recharred American oak from our own cooperage. Q: What one fact should bartenders know about your whiskies? A: Our focus is on distillery character for flavour in our malts – the way we create flavour at the start of the distilling process makes us stand apart. Consumers generally hear more about age statements and cask types than still shapes and yeast strains, so it gives bartenders something new and engaging to talk about with their customers. A: Seeing people enjoying our whiskies. A: It really depends on the situation. At The Open golf this year we partnered with Fever-Tree to match a range of mixers with some of our whiskies for long serves. 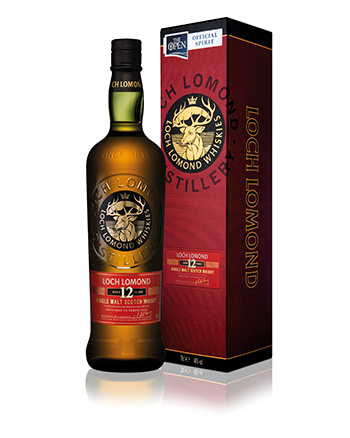 I had a Loch Lomond Original single malt with soda water – it was cool and crisp, perfect for a hot summer day. A: We launched our Loch Lomond 50 year old last year, which is a very special moment for any master blender as only about seven distilleries have ever been able to release such a high age product. It is a lifetime in the making so it is a huge privilege to care for and nurture that spirit through to bottling over the last ten years. A: Bill Lumsden at Glenmorangie is up there for what he has done with them over the last 20 years – the strength of character in all Ardbeg releases and the use of wood for Glenmorangie, especially in the Private Edition. 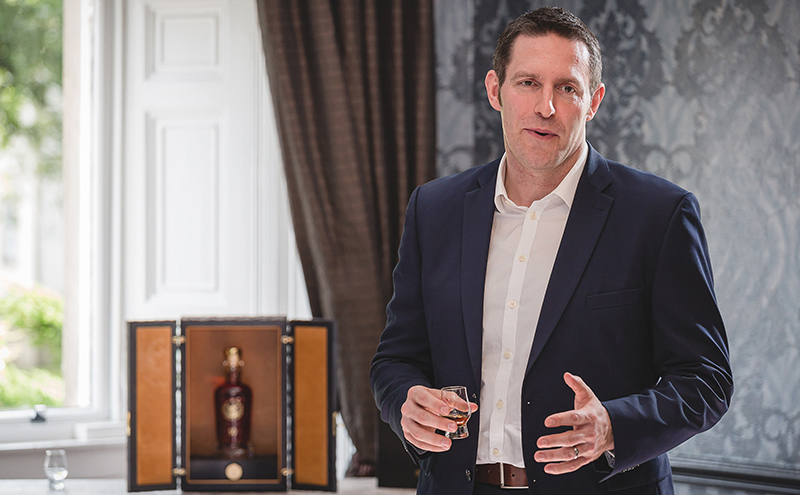 And David Stewart for his work with Grant’s over the last 50 years – David established cask finishing with The Balvenie and the intricate level of balance he achieves is unmatchable. A: I have a young family so that takes up most of my time outside of work. When I do get a chance to relax, I love rugby; I played for most of my life, having only retired in the last couple of years so I follow both Ulster and Glasgow mostly on TV but I manage to get to Scotstoun to catch a couple of games a season. A: It would have to be my dad, at the kitchen table with a bottle of Loch Lomond or Bushmills.